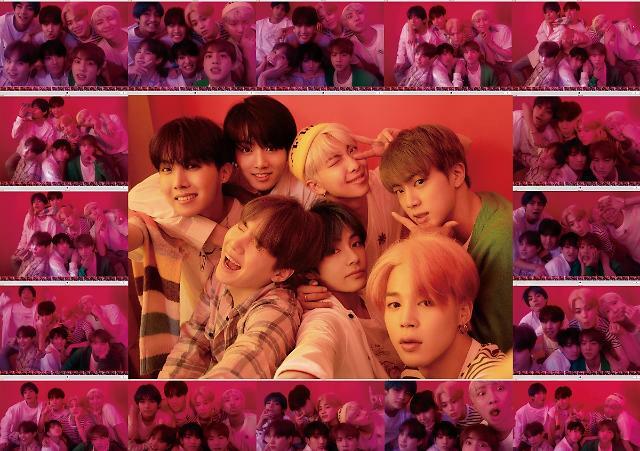 SEOUL -- The agency of K-pop sensation BTS released a track list of the group's new album to fascinate global fans with a new message "FIND YOURSELF" that put an end to the previous "LOVE YOURSELF" campaign for two years and six months. "Map of Soul: Persona", the group's comeback album scheduled for release on April 12, listed seven tracks: Intro:Persona, Boy With Luv, Mikrokosmos, Make It Right, HOME, Jamais Vu and Dionysus. The new album is certain of a big hit, topping Amazon's bestseller list for more than a week in the CDs & Vinyl category. 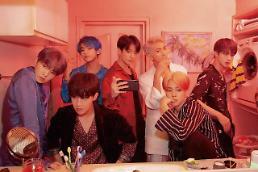 "Boys With Luv" is the title song featuring American singer-songwriter Halsey who gained popularity through self-released songs on social media platforms. "Intro:Persona" is a solo song by BTS leader RM who showed intense rap and gorgeous gestures. The concept of the new album is based on "Jung's Map of the Soul: An Introduction by Murray Stein" which gives basic principles of analytical psychology by Carl Gustav Jung, a Swiss psychiatrist and psychoanalyst. Carl Jung described the persona as "a kind of mask, designed on the one hand to make a definite impression upon others, and on the other to conceal the true nature of the individual." BTS was nominated in the Top Duo/Group category for the upcoming 2019 Billboard Music Awards in May, as well as in the Top Social Artist category, which the group has conquered for the last two years, according to Billboard.